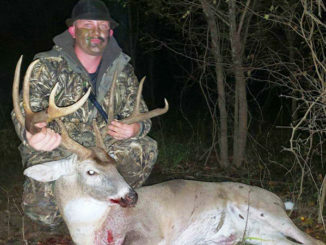 When Zack Buckner started seeing trail camera photos of a big buck hanging out behind his family business — Peterson Contractors, just outside the town of Homer — he noticed something strange. 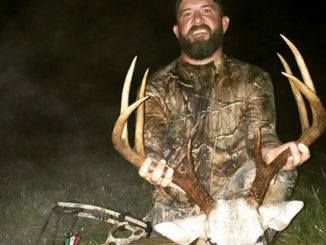 A 30-year-old Mansfield man was recently convicted in both Desoto and Bossier parishes for selling deer and squirrel meat to an undercover enforcement agent, resulting in more than $6,000 in civil restitution, fines and court costs. It’s football season and many good defensive backs rely on the bump and run when they are trying to slow down the other team’s receiver. With the bump-and-run, the DB bumps the receiver to throw him off his game. 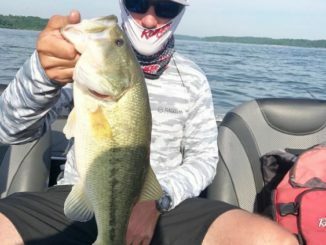 When bass anglers approach a lake they haven’t fished in a while, their first question usually has something to do with what the fish are hitting. 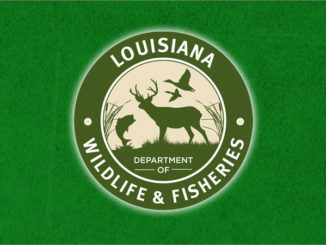 Enforcement agents with the Louisiana Department of Wildlife and Fisheries cited a 61-year-old Winnsboro man on Sept. 9 after authorities allegedly found a dead spotted fawn in his Franklin Parish restaurant cooler. 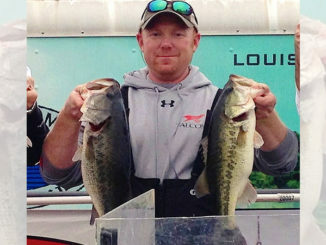 After Chad Wiley weighed-in on the final day of the 2014 Bassmaster Central Open on the Red River, his three-day total of 34 pounds, 14 ounces landed him in fifth place. 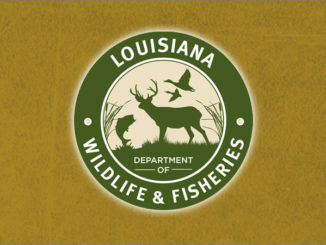 The drive from Morgan City to Natchitoches was a long four hours after I knocked off from my day job at 5 o’clock. 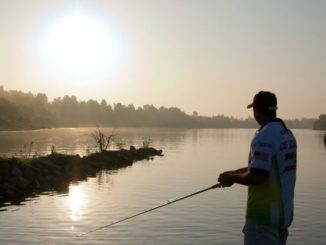 And, by the time my wife and I checked into the Chateau Saint Denis Hotel downtown, it was after 9 p.m. — and I was just hearing from Pure Fishing ambassador Jimmy Jeansonne. The hot summer weather got you down? 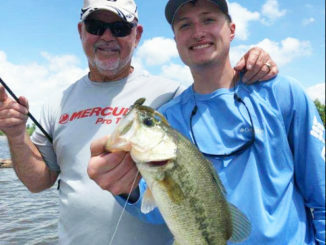 Well, why not cool off with some bass on the rocks — Red River south style. 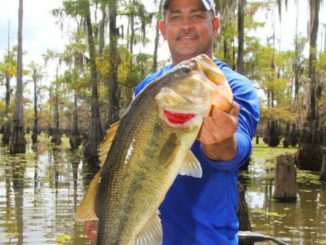 The Red River Waterway system offers a huge array of bass habitats, including stump fields, backwater lakes, the original river’s banks, rock piles, log jams, reeds (cut grass), oxbow ridges and shorelines, as well as lily pad fields that have bounced back after the floods. 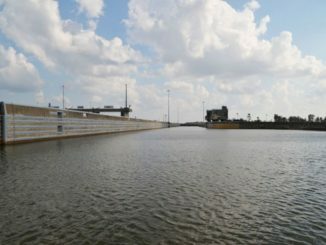 Pools No. 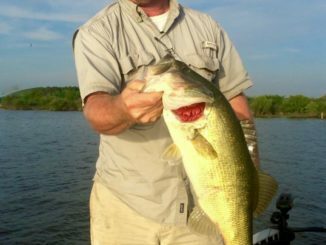 5 and 4 are large complex areas because a variety of habitats and properties were flooded by the 7- to 8-foot rise in water levels that followed damming. 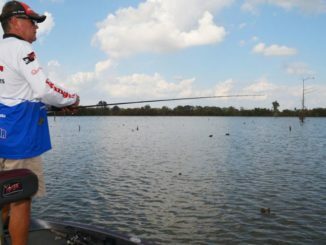 The two pools are where Charlie King focuses his Red River guiding efforts, and also where Trent Toups does much of his personal bass fishing.